*Click on each image to enlarge it. *Use search bar at top right for quick search. 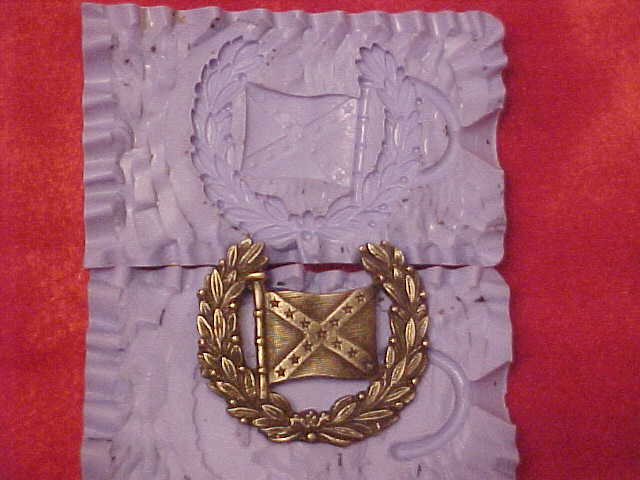 *Allow 7 - 15 days for me to sand cast, individually finish, and ship your order priority mail. Please do not complain to PayPal if it takes longer for me to mail your order. I do all this custom casting myself and sometimes business is really good to me and it may take longer to mail out but I will mail your order. 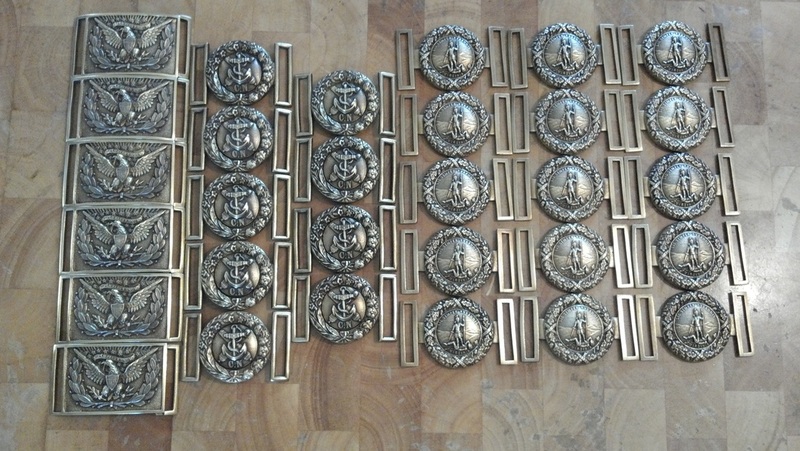 Each order is made as it arrives, nothing is in stock since there's over 750 buckles from which to choose. *EMAIL is the best way to contact me. Cannot work and answer the phone all day so if I do not answer your phone call 804 781 1864 just Email me. Casting these buckles takes time and hard work. 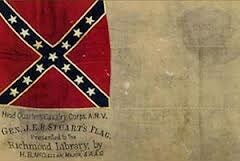 sell the reproductions of the originals. 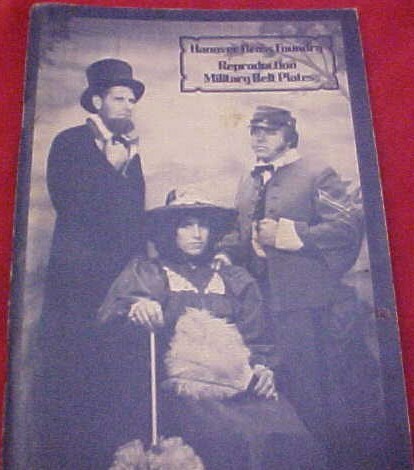 You can read about this casting process in the April 1981 "Vol. 89 . 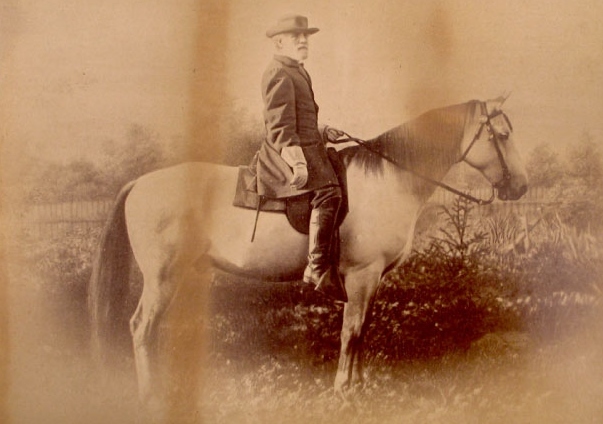 No 2" quarterly Virginia Magazine. 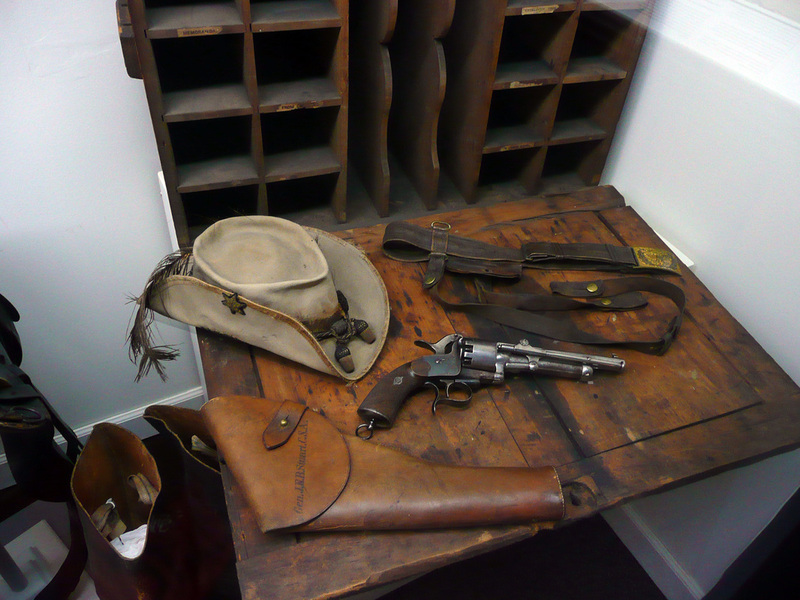 The following Belt Plates are reproductions from museums, private collections, and my personal belt plate collection. 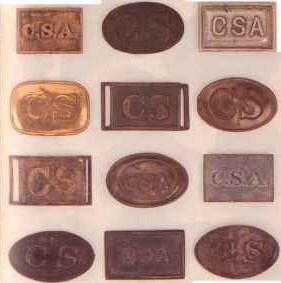 Hanover Brass Foundry (GW) in the 1900's casting belt plates. 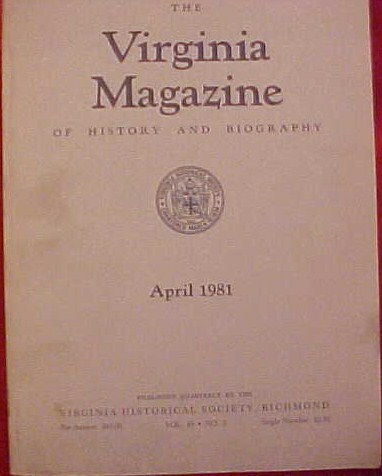 April 1981 Virginia Historical Society "The Virginia Magazine of History and Biography" (Vol. 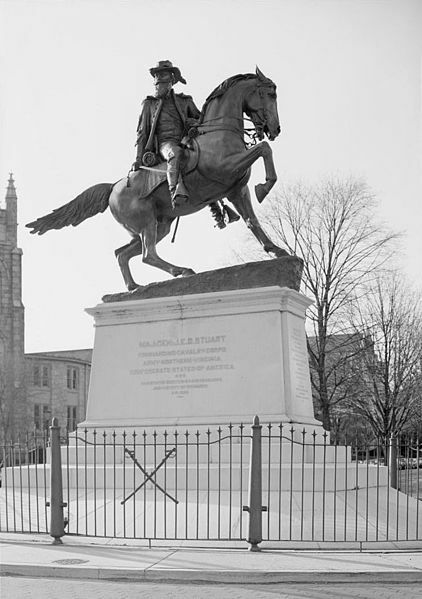 89 . No. 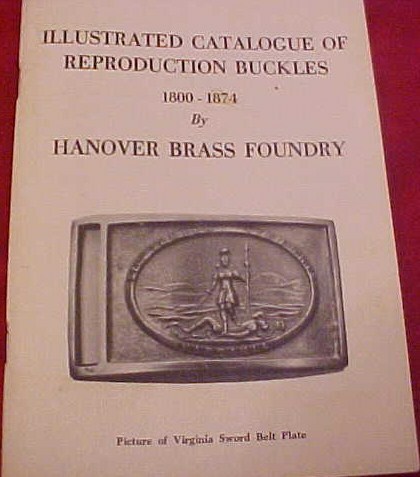 2) with article about Hanover Brass Foundry. in sand many of the belt plates from the Virginia Historical Society's Maryland-Steuart collection. Several of the buckles in the Virginia Historical Society's Maryland-Steuart Collection, Richmond, VA that I used to cast my master patterns. 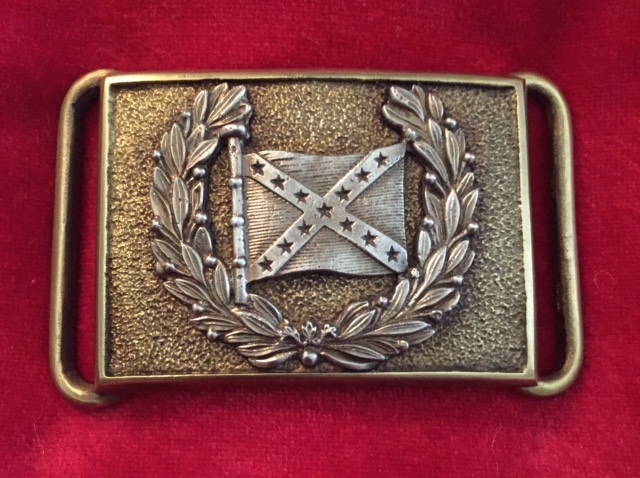 For all of you interested in commemorating the 150th anniversary of The War Between the States, I have reproduced two very special belt plates on behalf of The Museum of the Confederacy, MOC Richmond, Virginia. 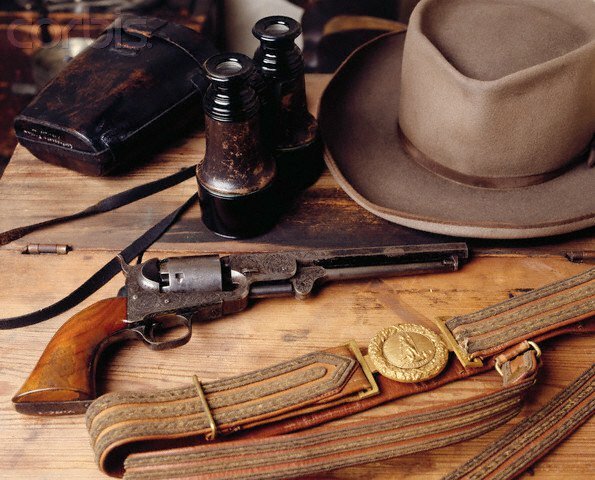 They are General Robert E. Lee's and Cavalry Leader J. E. B. Stuart's buckles which are on permanent display at the museum. 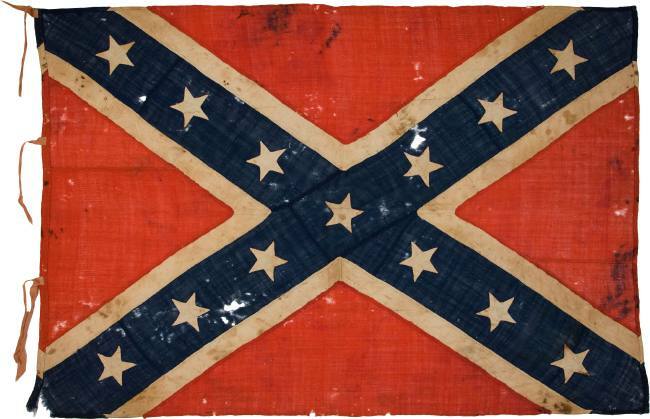 The sale of these limited edition belt plates benefits The Museum of the Confederacy. 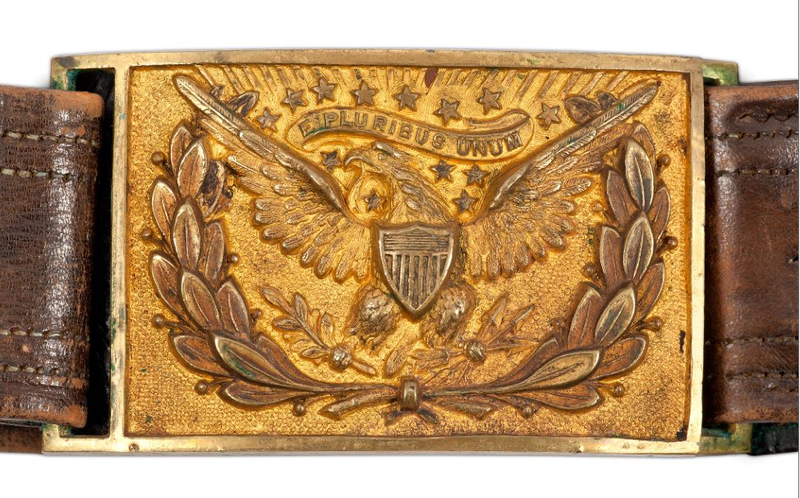 Gen. Lee's buckle is available in either 24kt. 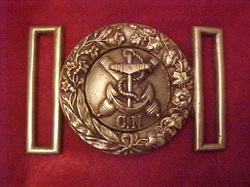 gold plate or solid brass. 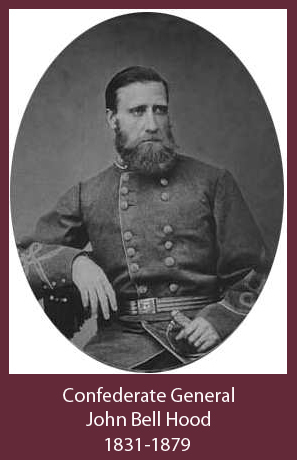 J. E. B. Stuart's sword belt plate is available in solid brass only. 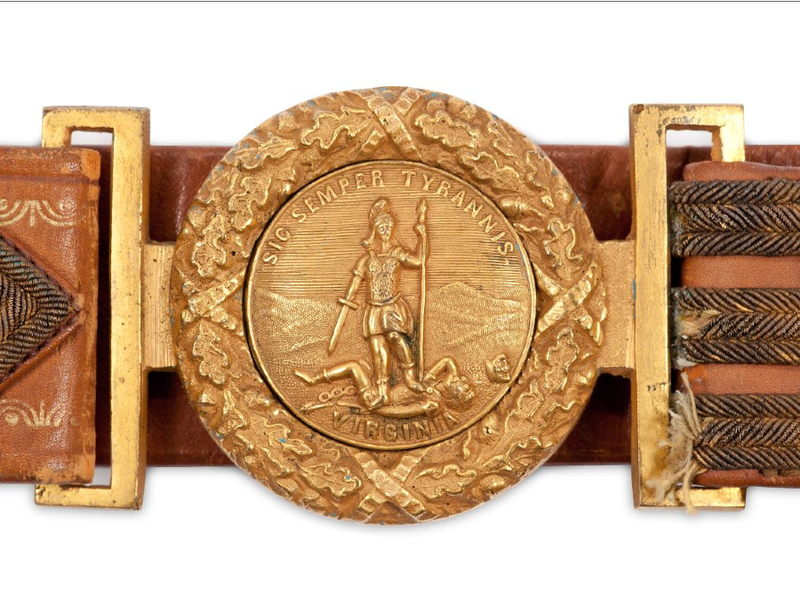 Lee's is a beautiful one-of-a-kind Virginia two piece sword belt plate that Lee wore in many of his photographs and field use. 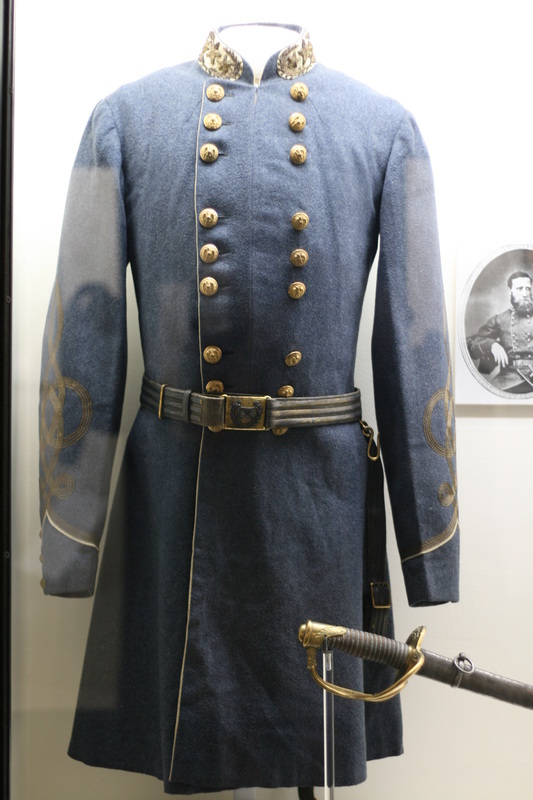 Lee also wore this two piece sword belt plate with his new Confederate uniform for the Appomattox surrender. 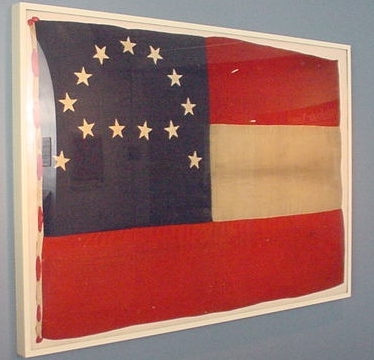 The Museum of the Confederacy at 804-649-1861 ext. 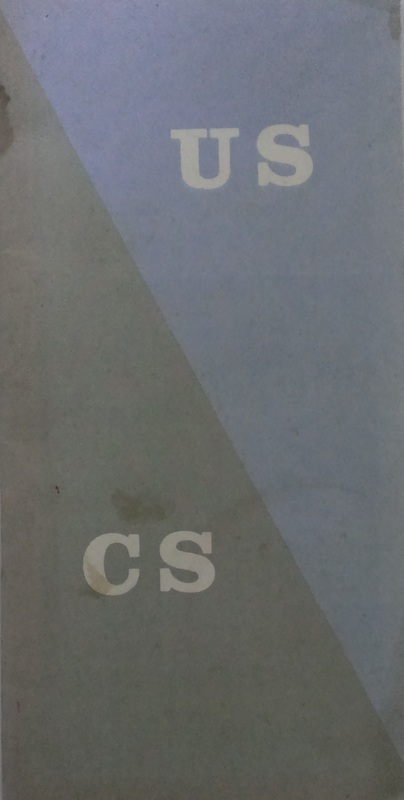 55. 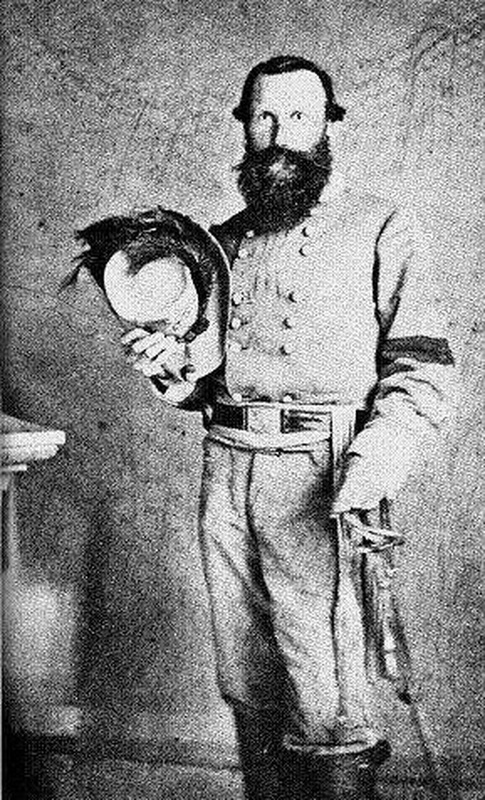 In my forty-four years of sand casting Civil War belt plates, I have now reached my dream of reproducing General Robert E. Lee's buckle! Up until this offer, you could only see these belt plates behind glass. 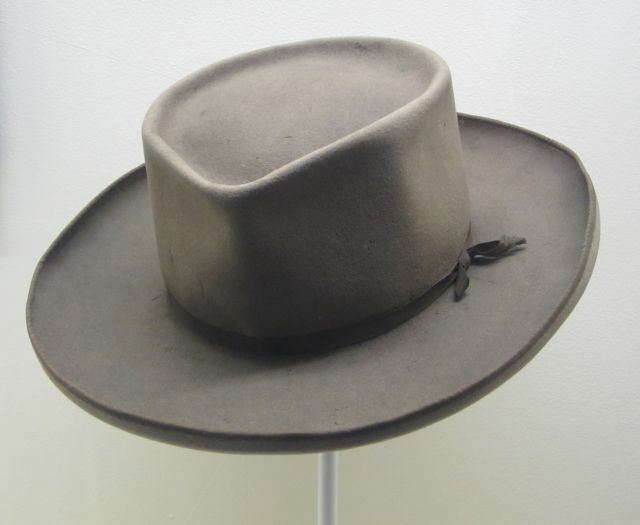 Now you can own one that is a precise copy of the original that you can proudly wear or display. 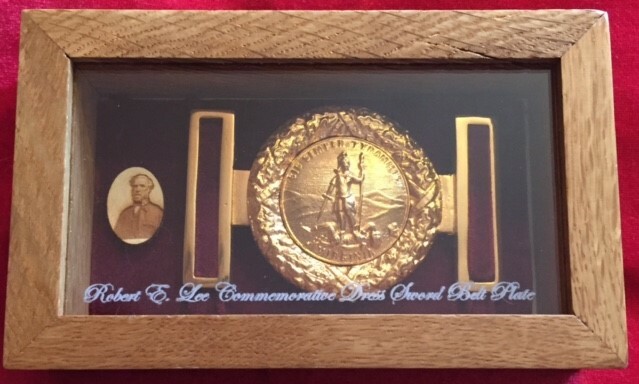 Hanover Brass Reproduction of Lee's Buckle in 24K gold plate and comes with a custom wood display box. 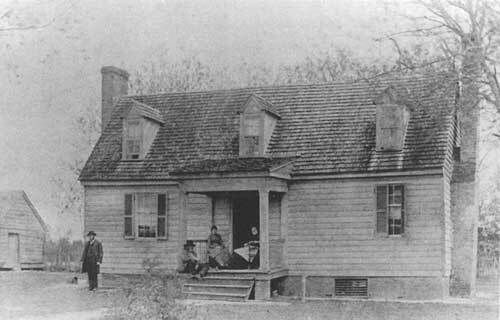 Sold only by The Museum of the Confederacy, Richmond, VA.
McLean House, Appomattox, VA. April 1865. 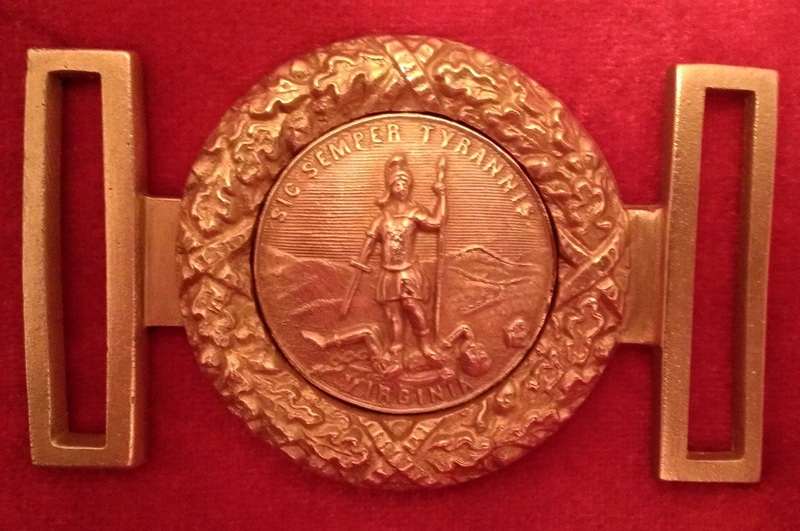 Reproduction Jeb Stuart belt plate cast by Hanover Brass from the original displayed in The Museum of the Confederacy, Richmond,Va. You can only purchase this plate from the MOC. 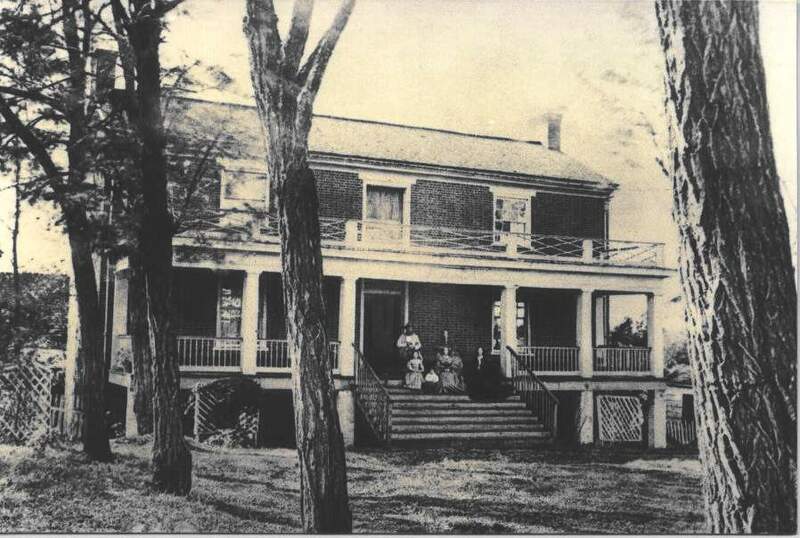 Watt House Hill, Gaines's Mill. 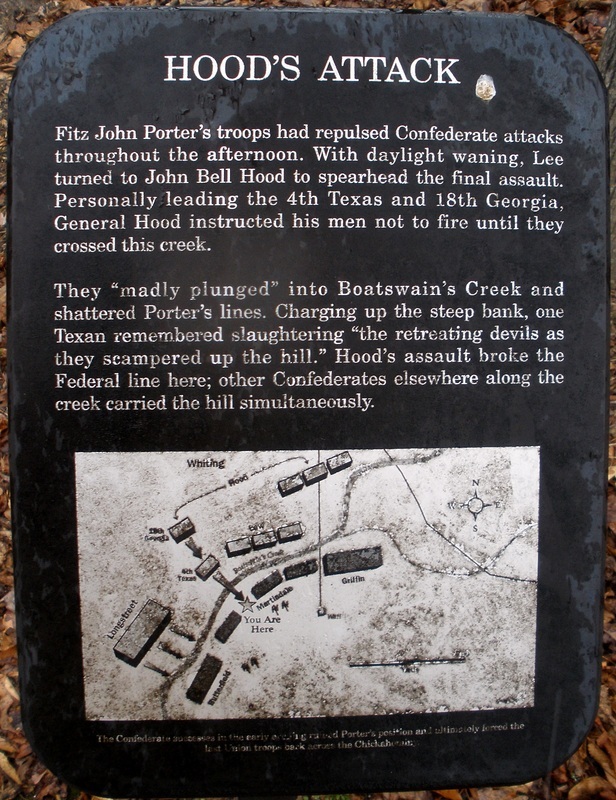 Hood's confederates charged this hill and broke the Union line. 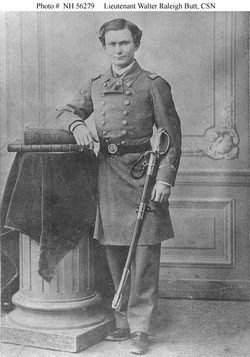 Gen. 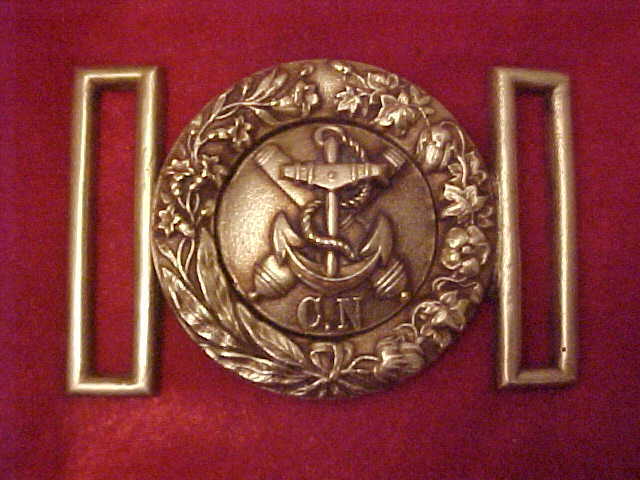 Hood's original belt plate. 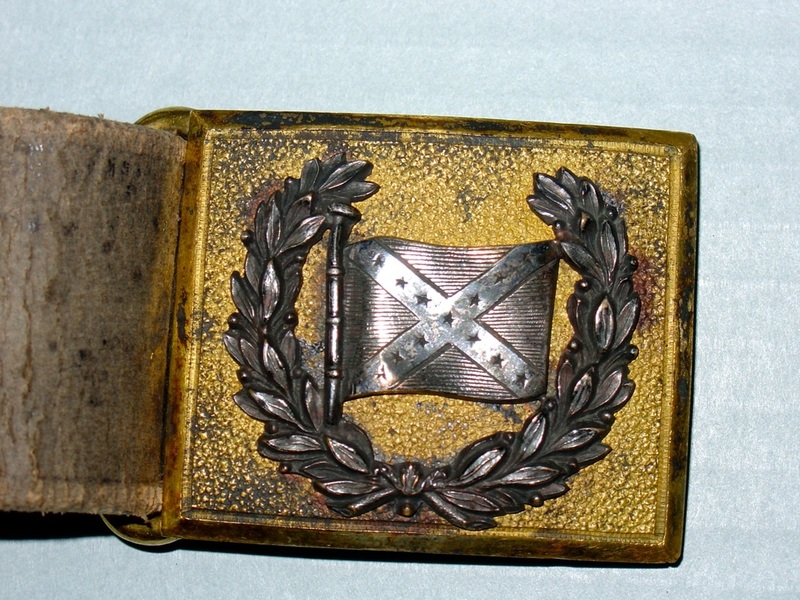 Belt plate had applied silver wreath and flag and was imported from England. 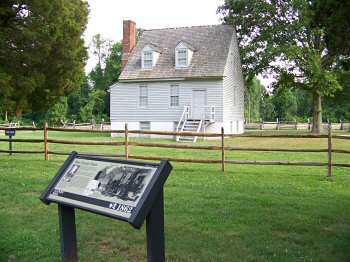 THE ADAMS HOUSE STOOD BEHIND THE UNION LINES AT GAINES'S MILL. 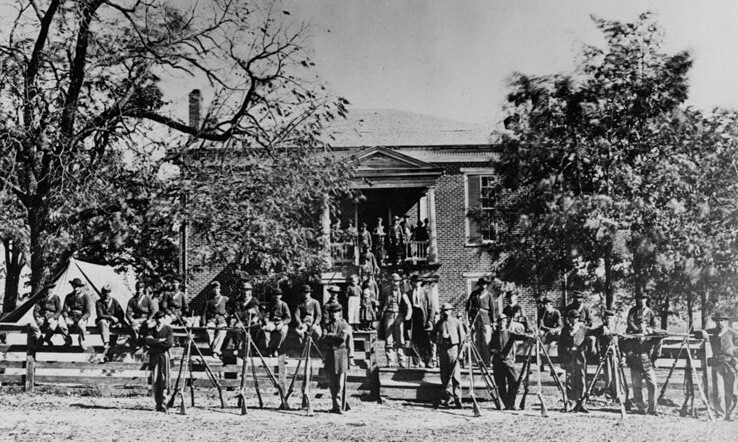 HUNDREDS OF WOUNDED SOUGHT RELIEF IN AND AROUND THE HOUSE. 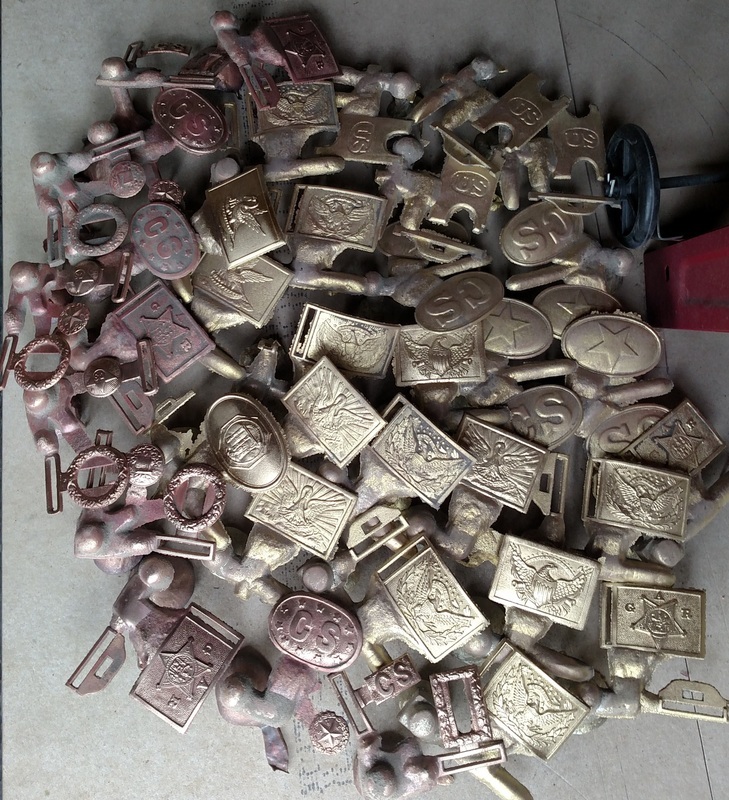 Hand finished buckles complete the sand casting process. 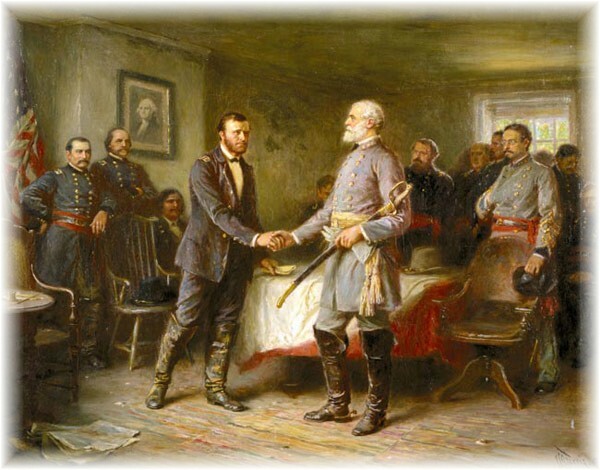 cast and ready for delivery for the new Museum of the Confederacy location at Appomattox, Virginia. 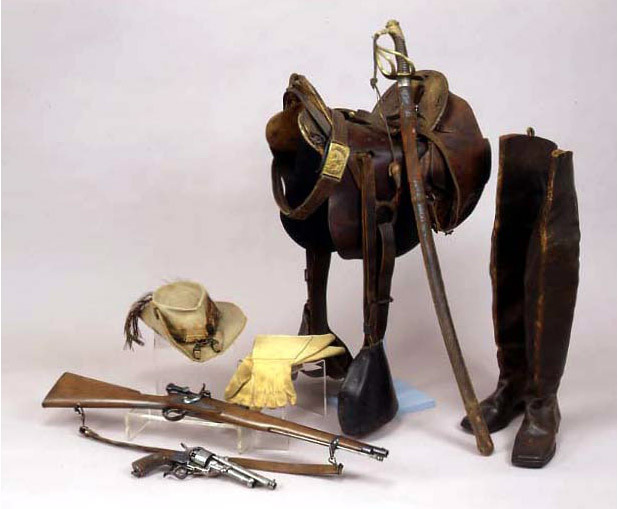 Below are the sales/reference catalogs through the years. 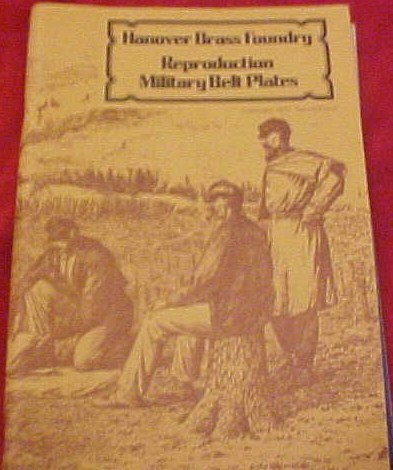 Sales began from word of mouth, store front at my father's grocery store on the battlefield tour route, sales tables at civil war shows and reenactment events. 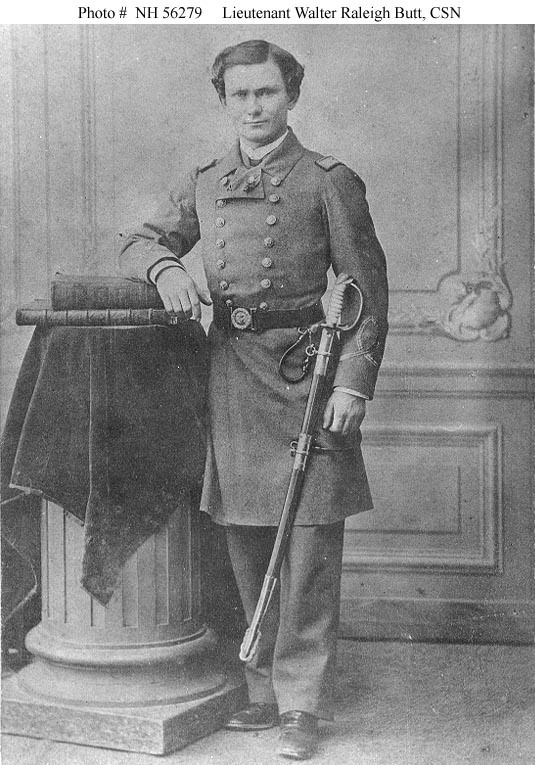 Then we placed ads in Civil War Times, and American History magazines to establish a mail order buckle business. 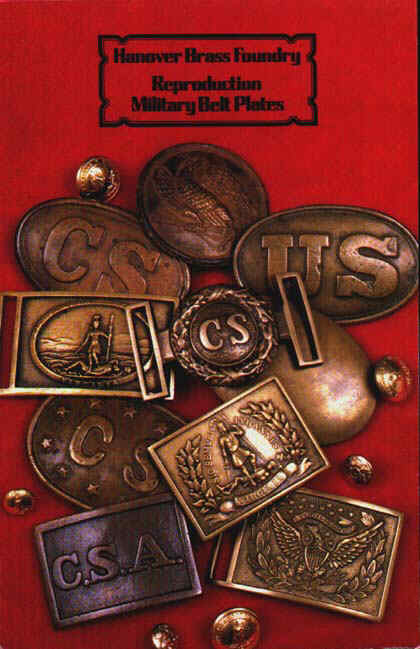 This called for a pictured catalog of our buckles. 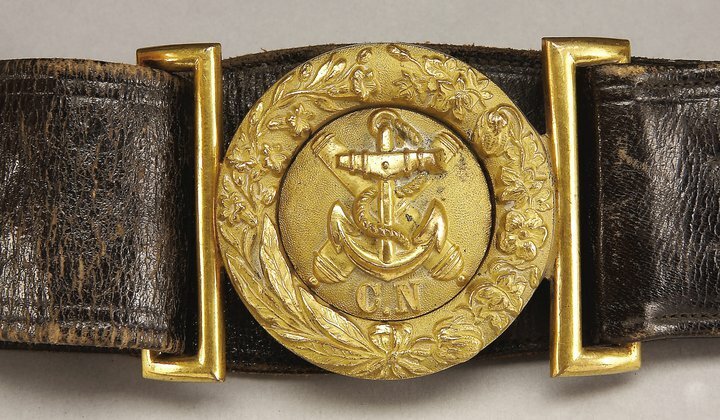 Now, we offer our museum quality buckles on the Internet. My how things have changed over the years since my meager beginnings of just trying to make a CS two piece buckle, my first in 1967! 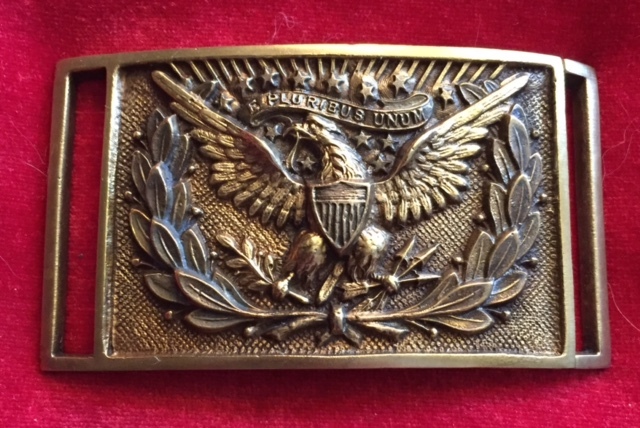 I appreciate the opportunity to make Hanover Brass Reproduction Civil War Buckles available to you, and I appreciate all my customers. 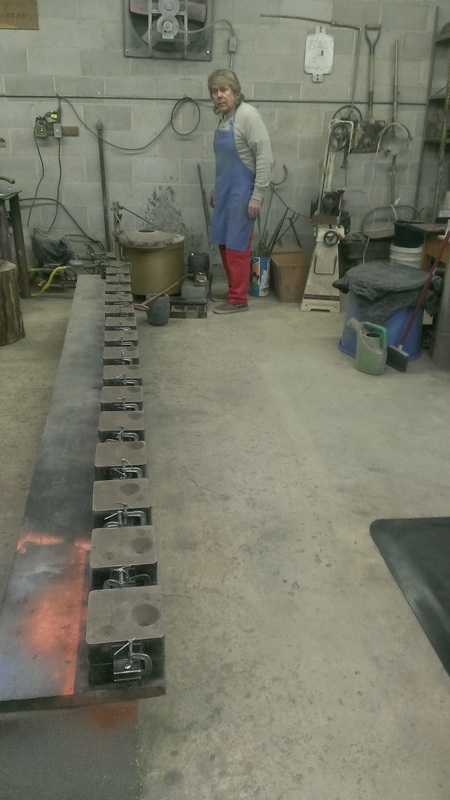 Buckles in the sand ready for pouring. 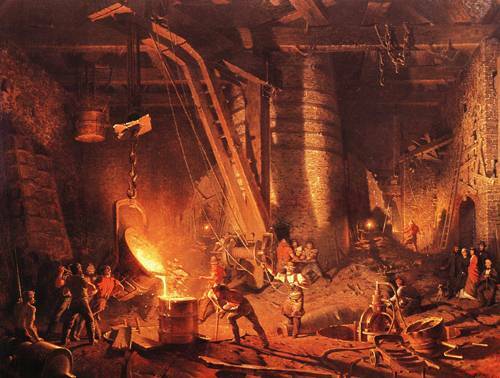 A work day for Hanover Brass Foundry. 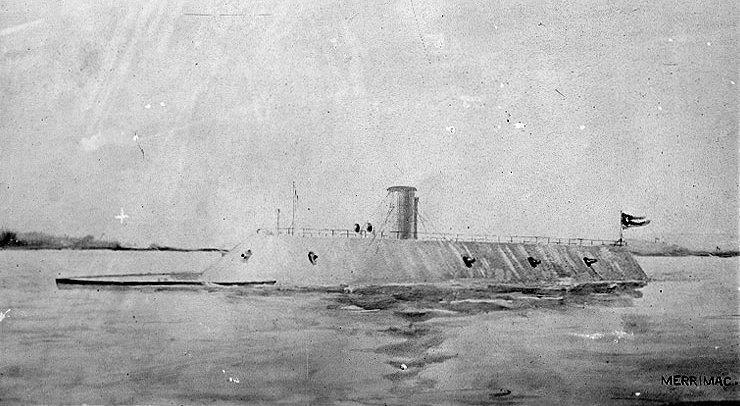 G W going to melt the yellow brass. 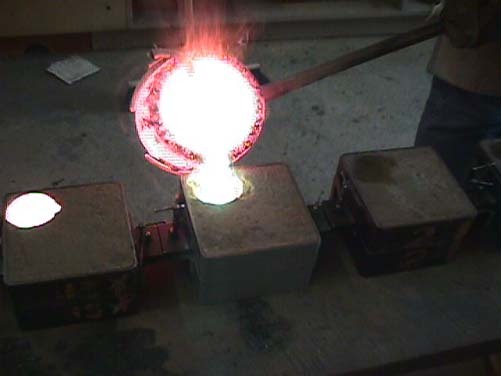 2150 degrees F to pour the yellow brass.